What came before and how I got to making Miandro’s Side? #12DaysOfAnime – Before Miandro‘s Side, all of my writings went under a lot of mediums and pen-names. After one hundred fifty articles written, seventy WordPress followers and all of those numbers, I think it would be nice to share the events that brought me here and where I want to go with this blog in the future. Even before all of the online shenanigans I do now, I was always interested in writing. There was that little pride developing within me as I aced almost every essay, be it given through exams, schoolwork or other forms. It was quite a joy to express my own thoughts and opinions on various things into a piece of paper. This interest in writing gave me the opportunity to actually learn from professional journalists and bloggers about the entire thing. All of this at the expense of my own high school. It was only in high school that I started to take on writing more than a hobby and something to compete for. This was because I was able to participate in a competition for campus journalism. In those competitions, I won awards for editorial writing and recognition for news publishing. On the side of these events, I was also starting a blog where I wrote reviews, reactions and opinion articles about anime whenever I had the time to do so. I did all of these things on the social blogging platform Tumblr and the amount of time I spent there allowed me to understand how an audience works in relation to the things that you write. If you are familiar, I use to write articles in Tumblr under the pen-name of Miganiano which was a combination of nickname and the words anime, piano. Eventually the lack of an engaging audience kind of threw me off so I decided to leave that platform. The idea of other Tumblr users just scrolling their timelines only to like and re-blog other peoples work did not sit right with me. Because of that, I looked for better platforms to write in. After research and recommendations from people during those aforementioned school-sponsored seminars, I was told to use WordPress to find the audience that I was looking for and fair enough, I made the right choice. The pen-name Miandro was born out of a random name generator and some tweaking on my side. Even if it does sound Italian in origin, no, I am no Italian. On the other hand, the blog title “Miandro’s Side” was meant to be just a placeholder for when I could actually get a proper blog title running. That “proper blog title” never came into existence and over a year of writing articles under the Miandro’s Side name, I kind of just stuck with it out of pure laziness and the reason “I don’t know – it just sounds personal and real” because let’s be frank here – this blog is just an attempt of me trying to sound objective with any topic I can get my hands on. If I had to point out some of the friendly faces that helped me fit into this community of anime bloggers, I would say Arria Cross from Fujinsei, Karandi from 100WordAnime and LitaKino from LitaKinoAnimeCorner. 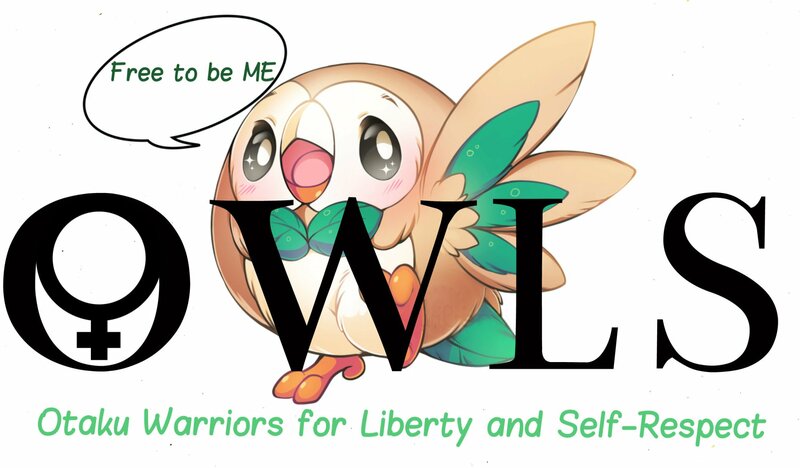 Not only them, but as well as to the people within the Otaku Warriors for Liberty and Self-Respect group. I never thought a congregation of such creative and wacky personalities was possible and yet, we exist. Ever since I’ve joined, the group has done nothing but given me a whole new array of opportunities on how I can reach people with my blog and how I can inspire change whilst doing so. OWLS has given emotion to my writing and I can’t thank you guys enough for that opportunity. Although I may not talk a lot with these people, their way of writing and style of content creation were significant influences on how you see my own content being given to you. Well, them and my time learning campus journalism. If I had to compare between the writing periods I had, I would say that I like where I am now in this platform. The people are great, creative and responsive as compared to the one-hundred fifty followers I had on Tumblr – all of which rarely commented on my writing. Here I felt that my works were being appreciated and the community actually tries to help out one another, especially the smaller ones. Well, I can’t really call myself “big” with only just seventy followers from WordPress and over a hundred-twenty following me via e-mail, everything the blog is right now makes me content. As for the upcoming new year and onwards, I just hope this blog just keeps growing and growing. This is only the beginning of my journey and I can’t wait to take all of you with me on this ride. Writing articles has never been this fun for me and it’s all thanks to you, guys. Happy holidays and let’s all look forward to the new year with a big smile (and more spicy anime). i’d prefer one active follower over a hundred, i can tell you that. and congrats on being a talented essayist. Couldn’t agree more. Definitely better if you hear something from the people who look at your work. I’m glad you are finding blogging a positive experience. Next Next post: Why anime out of all things?